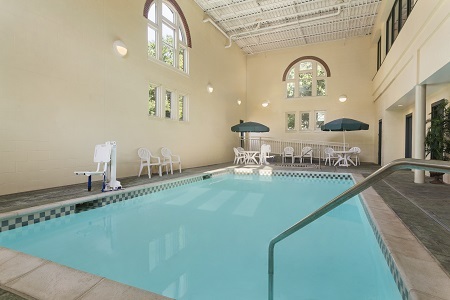 Earn points for every stay! 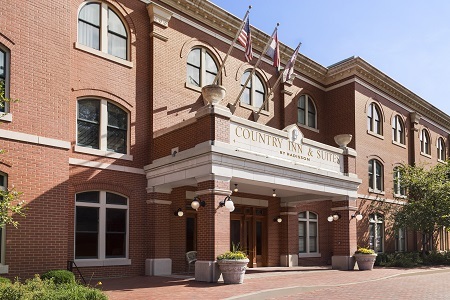 Located on Main Street in downtown St. Charles, the Country Inn & Suites® by Radisson, St. Charles, MO lies in the heart of the city’s historic district. Experience the area’s Old World charm as you explore dozens of nearby restaurants and specialty shops, many housed in 19th-century buildings. 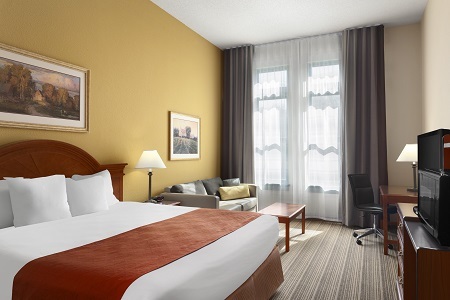 You can also drive just five minutes to The Family Arena to catch a hockey game or a concert, or stroll to the Ameristar St. Charles casino to play the slots. If you love hiking and biking, you can easily access Katy Trail, which runs behind the hotel. Need to host a wedding? The Old Stone Chapel, one of the most popular wedding venues in St. Charles, sits next door. 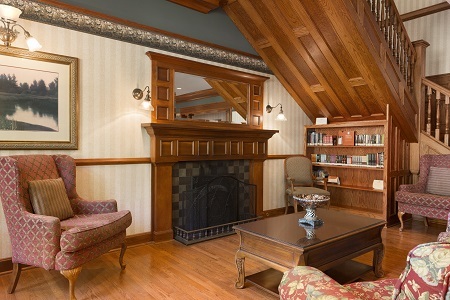 Ideal for longer visits, our Extended-stay Suites provide a bedroom, a living room with a sleeper sofa, a dining area with a four-person table and all standard room amenities. 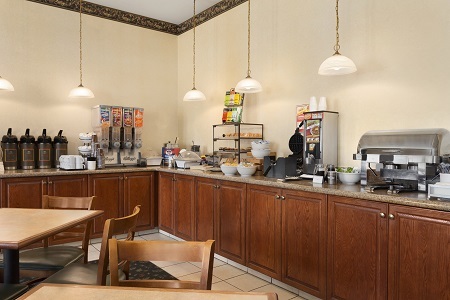 Our free, hot breakfast welcomes you every morning with bacon, eggs, waffles, cereals and pastries. Complement your meal with a steaming cup of coffee or a refreshing juice. For lunch or dinner, you can try one of the more than 20 restaurants within walking distance, including Hendricks BBQ and Magpie’s Cafe. Ameristar St. Charles – Play the slot and video poker machines at this casino within walking distance of the hotel. Visit the casino’s bar, nightclub or arcade for more entertainment. Lewis & Clark Boat House and Museum – Explore the cultures of the Native American tribes that Lewis and Clark encountered, or learn more about the plants and animals of the Missouri River at this nearby museum. You can also see full-scale replicas of the explorers’ boats, just a brief stroll from our hotel. The Family Arena – Located two miles from the hotel, The Family Arena features an array of sports like hockey, indoor football and professional wrestling. This multipurpose venue also hosts big-name bands such as Boston and Culture Club.